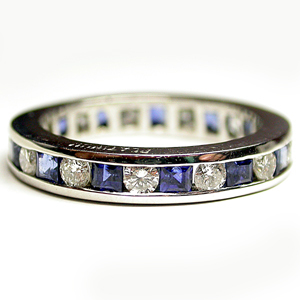 This pretty platinum eternity band dazzles with channel-set round diamonds and square cut sapphires. The diamonds total approximately .75 carat, royal blue square sapphires total approximately 1.45 carat. The band is /// millimeters all around.